If an item is marked as Sold by Weight, it can be sold on the Point of Sale per unit. The cost and price entered for the product should be the cost and price of a single unit. The Point of Sale will calculate the correct price once the quantity is entered during the sale. On the Management Console, go to the Products tab. 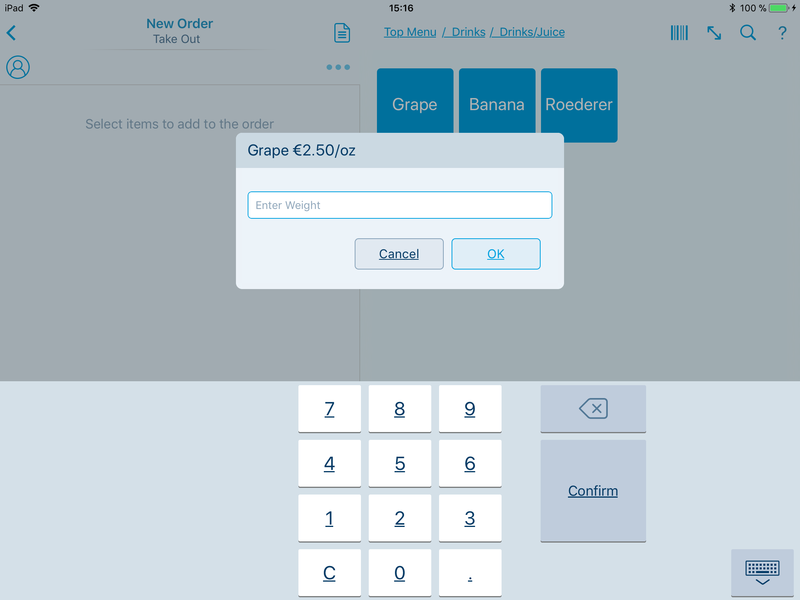 On the Point of Sale, open or create an order like normal. You can enter the weight manually or place the item on a synced scale. After the item is added, proceed with the order as usual. If your sold by weight items are marked as Track in Inventory, this means the number of units sold on the Point of Sale will be subtracted from inventory.